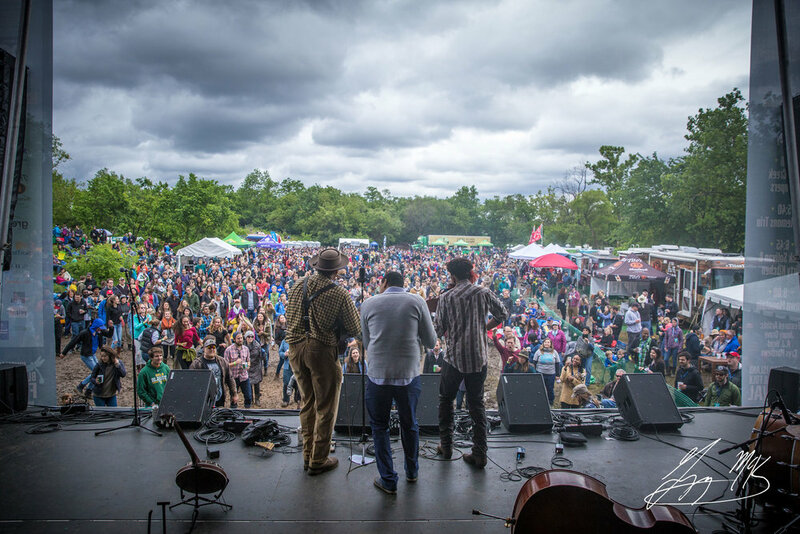 The 9th annual Kingman Island Bluegrass & Folk Festival is a highly anticipated annual event and premiere zero-waste benefit festival that invites two dozen bluegrass, folk, and Americana artists to perform across multiple stages spread throughout beautiful Kingman and Heritage Islands Park. The day-long event will feature fun for all ages, including various outdoor activities such as kayaking, a kids’ zone, delicious food, beer, cocktails, local merchants, and more. As a benefit for Living Classrooms Foundation, all proceeds will support environmental education programming serving disadvantaged District youth as well as the ongoing maintenance of the island as a nature sanctuary and urban retreat for the public. The Kingman Island Bluegrass & Folk Festival was originally created in partnership with the DOEE to create awareness of Kingman and Heritage Islands Park as an urban oasis for DC residents. As the manager of the islands, Living Classrooms of the National Capital Region has helped restore the park's natural habitat, promoting the return of many previously extinct native flora and fauna species, while also engaging local youth in hands-on education through restoration projects and Meaningful Watershed Education Experiences focused on the islands' habitat and conservation efforts in and around the Anacostia River. Living Classrooms' curriculum focuses on using interactive experiences to reinforce classroom instruction in environmental science, as well as build increased stewardship among new generations of DC youth. As a fundraising event for Living Classrooms, the Festival is directly supporting these efforts while also celebrating the community's appreciation and connection to the local environment that is sustained by the Anacostia and Potomac Rivers. In 2016, Living Classrooms partnered with the DPW to implement a zero-waste initiative, creating recycling and composting stations, requiring the use of reusable or recyclable materials by all vendors, and discouraging attendees from bringing one-time use containers onto the island. Since then, the festival has been successful in maintaining an over 80% waste-free environment, with the 2017 festival success at a record high. The mayor recently designated Kingman and Heritage Islands as a "State Conservation Area," and specifically designating the Southern portion of Kingman Island as a "Critical Wildlife Area." She also pledged her commitment to include in her budget a $4.7 million investment in educational and recreational amenities of Phase 1 elements of the Kingman Island Strategic plan released by DOEE in August of 2017. The funds will be used to construct much needed amenities such as a floating educational dock with microscopes, a ranger welcome station, raised walkways to preserve the conservation areas, and restrooms, providing a much more accessible and inviting experience for students and families who visit the island. We have so much to celebrate during the Year of the Anacostia and Living Classrooms is proud to invite the community to celebrate the past successes in preserving our waterways and future expansion of our DC waterfront.